Welcome to Milwaukee School of Engineering’s 2017-18 Undergraduate Academic Catalog. With our online format you can quickly locate details on academic programs of study, policies and procedures, detailed course information and more. There are two ways to search: use the “catalog search” feature in the upper left-hand corner of the page, or use the left-hand navigation bar. Thank you for your interest in MSOE! Milwaukee School of Engineering admits male and female students of any race, color, national and ethnic origin to all the rights, privileges, programs and activities generally accorded, or made available, to students at the university. It does not discriminate on the basis of race, color, national and ethnic origin, religion, age, gender, sexual orientation, marital status or disability in administration of its educational policies, admission policies, scholarship and loan programs, and athletic and other institutionally administered programs. 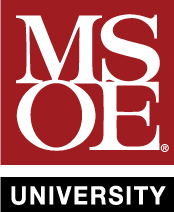 MSOE also maintains its long-standing policy as an Equal Opportunity/Affirmative Action Employer of male and female personnel for its faculty and administrative staff.